While coffee might be America’s hot beverage of choice, there’s no denying that tea certainly has its place. This is especially true in the south, where tea is enjoyed both hot as well as refreshing cold and sweetened. When visiting a historic city like Charleston, why not see southern tea grown fresh? The Charleston Tea Plantation has acres of tea fields to tour from the convenience of a trolley, as well as an on-site tea factory. This sightseeing stop is perfect for those who love to see the manufacturing process of their favorite beverage, as well as the natural beauty of South Carolina. 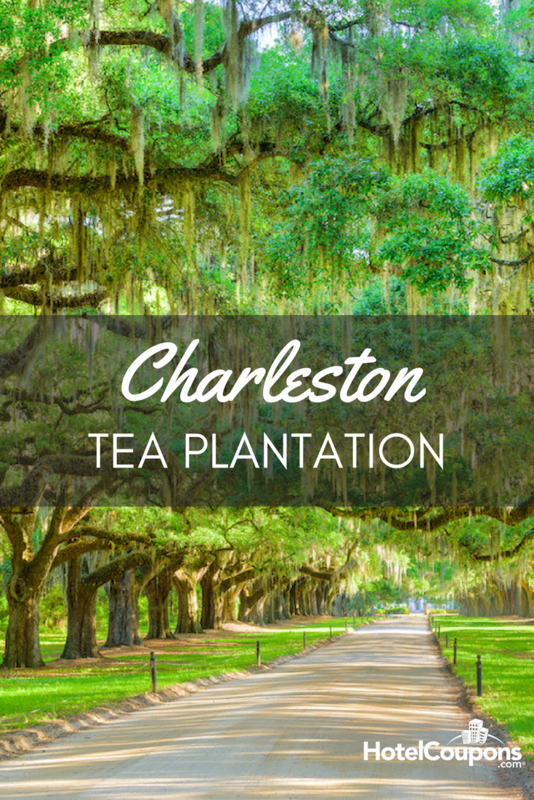 The Charleston Tea Plantation is located about 40 minutes southwest of downtown Charleston on Wadmalaw Island. Visiting the Plantation is free of charge; the only fee for visiting is the $10 charge to ride the trolley tour. There are several tours available on site to enjoy, and visiting should take several hours to most of a day. The attraction is open daily and stretches almost 130 total acres. It should be noted that the site is only open from 10 am to 4 pm Monday to Saturday, and only from noon to 4 pm on Sundays, so the sooner you and your party can arrive, the better in order to see everything the Plantation has to offer. It should also be known that the site observes many holidays, so be sure to check ahead of time if you intend to visit during these times. Unlike many factory tours, the Charleston Tea Plantation has several onsite tours available for guests. The trolley tour is narrated by the company’s founder Bill Hall as the trolley drives through the tea growing fields, takes visitors to the greenhouse, and other spots of interest along the way. This tour is as fun as it is educational. In addition to the trolley tour, visitors can walk through the only American tea production factory, free of charge. Here visitors can view production equipment, as well as become better educated into the process as a whole. This tour begins every fifteen minutes and includes educational videos along the way. If you’re looking for an insider’s look into the Charleston Tea Plantation, then it’s hard to beat the Bill Hall Exclusive Tour. For $600, guests can have a private tour driven in an exclusive trolley driven and narrated live by founder Bill Hall himself. This is a unique and insightful look into the world of tea growing and production from one of the most authoritative people on the subject. Any good tour ends with a gift shop visit, and the Charleston Tea Plantation is no different. But unlike most kitschy gift shops, this one hosts hundreds of different teas and tea-related products. Whether you’re in the market for a type of tea that you simply can’t find in your local grocery store or you would like a special gift for someone (or even yourself), it’s hard to find a better gift shop around. From freshly brewed tea straight from the source, tea boxes, tea kettles, and other unique accessories, the gift shop is almost as exciting as the available tours. In a day and age where seemingly everything is made quicker, faster, and cheaper overseas, many are making buying decisions based on products made right there in the community. Certified South Carolina is a state-wide partnership program that promotes local farming, processing, and other industrial and retail industries. This only furthers the Charleston Tea Plantation’s reputation as being a quality producer of tea that keeps the community employed. By purchasing from their gift shop and taking their tours, it helps promote the local economy, which leads to a vacation you can feel good about. No matter what time of year your visit will be, you’re guaranteed a fun and interesting time at a local treasured landmark. Depending on which season you come to the Plantation, however, will ultimately decide what stage of growing you are able to see the tea fields. If you’re planning on visiting during spring, then you’ll be able to see the initial harvesting begin. The tea crops begin their grow pattern in the spring, with the harvesting season officially beginning in May. By the hot summer season, the production process of creating the tea and readying it for consumption begins. At this time tea crops will likely be farmed as the necessary plants are removed from the fields and taken to the production facilities. As the summer heat wanes and gives way to the cooler fall season, harvesting begins to die down. The harvesting season depends on environmental factors, and as such harvesting may end by late September, or it may continue into early October. This doesn’t mean that you won’t be able to see anything exciting; in the fall, the tea plants Camellia Sinensis begin to bloom again. As is to be expected, in the chillier winter months the plants won’t be as active as they begin to rest until the weather warms once more. However, this detracts little from the tours, and the production facility is still in full operation. All you need is a warm travel mug of your favorite tea, and you’ll be set to tour the grounds.